Bone broth is really all the “craze” these days, isn’t it? So… what is it & what’s all of the hype? Well, I am not a medical professional so I have found some great information to share with you. Bones themselves are rich in vitamins and nutrients, including calcium, magnesium, and phosphorous. Also, brewing connective tissue into bone broth provides the body with natural compounds from the cartilage. Tissues and bones also contain collagen. Cooking collagen turns it to gelatin, which provides the body with amino acids, which are the building blocks of proteins. 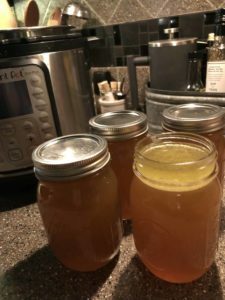 It is not possible to say how much of any nutrient will be in a particular batch of bone broth, since this largely depends on the type and quantity of the bones and tissues that went into it. However, it may be best to include many different types of bones and tissues for the highest amount of nutrients. Bone broth may provide trace amounts of these nutrients, and many claim that consuming it is an easy way to take in these nutrients in a form that is easier to digest. Adding other ingredients, such as vegetables, to the broth may also add additional nutrients. Bone broth is a source of gelatin, which may break down into collagen in the body. This is especially important in the joints. Cartilage in the joints tends to wear down or shrink through continual use. This can add more stress to the joints, which may become damaged as a result of the added pressure. A 2017 review that appears in the journal Sports Medicine suggests that both laboratory and animal studies show that gelatin supplementation increases the amount of collagen in the tissues. This may help protect the joints from unnecessary stress. Consuming bone broth may be a good way to add gelatin to the diet, which may help protect these joints. The compounds present in bone broth help maintain the joints, and they may also help people who already have osteoarthritis. A 2016 study in the Nutrition Journal looked at the effects of type 2 collagen in people who had osteoarthritis symptoms in their knees. The collagen came from the connective tissue of chickens. Its results show that collagen can improve knee joint symptoms, such as pain, stiffness, and poorer physical function, in people with osteoarthritis. Consuming bone broth may be an easy way to deliver the same type of collagen, along with other helpful nutrients, to the body. People with inflammatory bowel disease or leaky gut syndrome may benefit from consuming bone broth. Some amino acids present within bone broth may also be helpful for digestion. An amino acid called glutamine seems very promising. As a 2017 study in the journal Current Opinion in Clinical Nutrition and Metabolic Care notes, glutamine supplementation helps heal the intestinal barrier in human and animal models. This may help with conditions such as leaky gut, which irritates the mucosal lining in the intestines and interferes with the body’s ability to digest food. As a 2017 study in the journal Nutrients says, people with inflammatory bowel disease tend to have lower levels of some amino acids in their bodies. For these people, getting additional amino acids into their diets may help with some symptoms of the condition. Drinking bone broth daily may be a simple way to get anti-inflammatory amino acids into the body. The amino acids in bone broth may also promote better sleep in some people. A 2015 study in the journal Neuropsychopharmacology reports that the amino acid glycine is a safe therapeutic option to improve sleep. People who take glycine before going to sleep may feel that they sleep better and have less fatigue during the following day. For these people, drinking bone broth with a simple dinner may help provide this glycine. 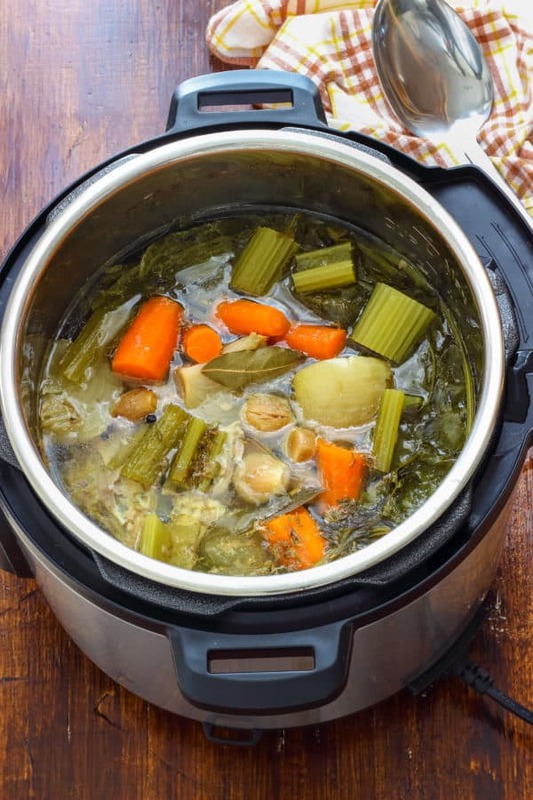 Bone broth may also help people lose weight. It is high in protein, which helps the body feel fuller for longer and supports calorie restriction. A 2017 study in the Journal of Renal Nutrition points out that the average cup of chicken bone broth contains more protein than the average cup of basic chicken broth. 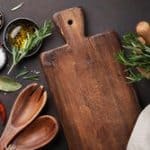 Drinking bone broth or making a simple soup may be a beneficial way to add more protein to the diet and feel more satisfied with a meal without consuming too many calories. I have just started enjoying bone broth regularly (as a diet supplement) & so the jury is out for me on the health benefits but I will add an update in a few months! I have added it as part of my real food approach to better health. I will tell you that it is yummy & warm & comforting to just sip or use in your favorite recipe! I will say that getting chicken bones from a farmer is best. 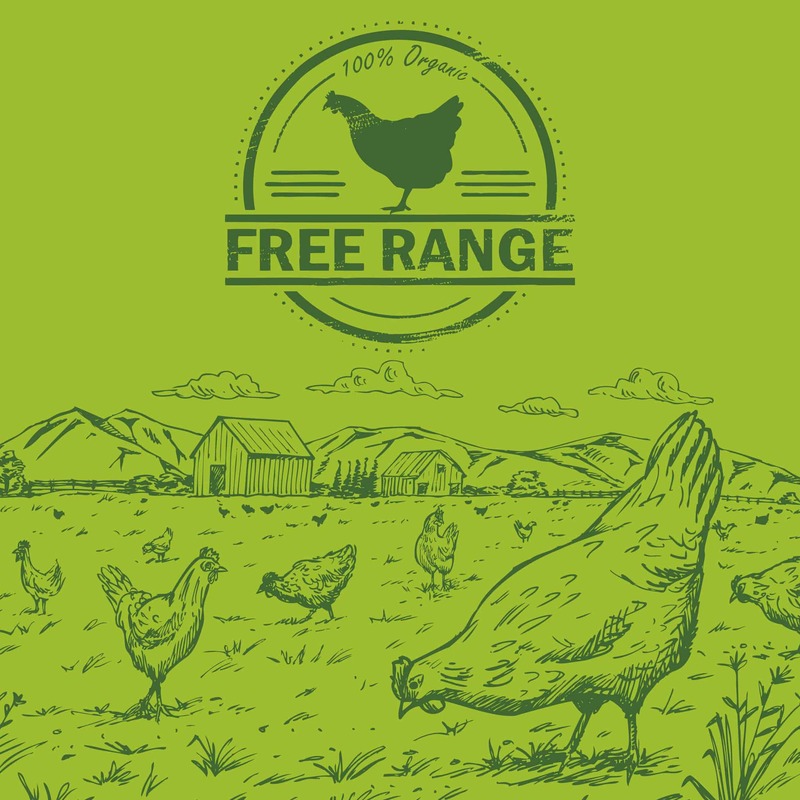 A large bag is very economical ($5 or less) & you will know that the chickens were hormone & antibiotic free. 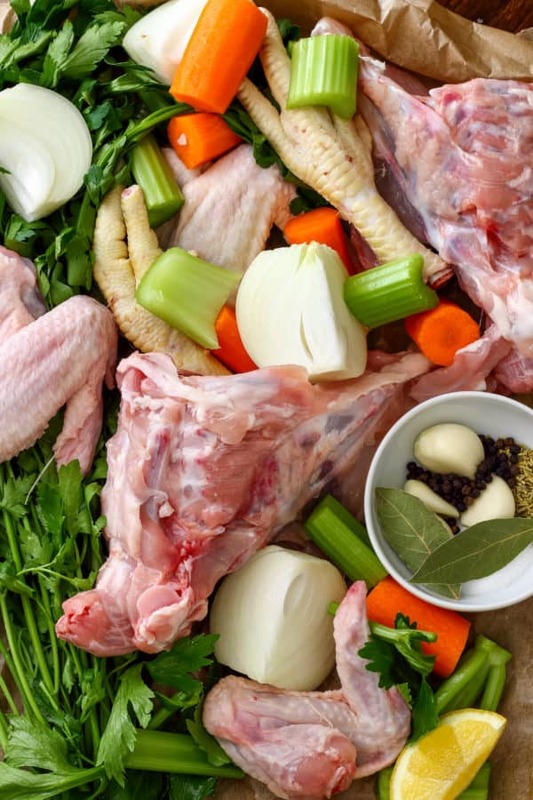 Healthy chickens =healthy bone broth! In my opinion it truly is worth making yourself —>especially if you have a pressure cooker (I have a 6 quart Duo Instant Pot). Get your pressure cooker out. You will not need any inserts of trivets so set those aside. Set pressure cooker to high pressure for 2 hours. (You can set it to 3 hours if you prefer BUT it needs to be on low pressure instead of high). Your final product will be the same. At the end of the pressure cycle allow a natural release & then open the cooker - always with caution, tilting the lid away from yourself as you remove, as the contents are very hot & steam burns are mean! Allow to cool enough & then strain into a separate bowl. Transfer to jars & once it's room temperature put lids on & store in refrigerator for up to 4 weeks (longer if you don't "break the seal" of the fat on top) You can also freeze for up to a year --> using ice-cube trays or other freezer container. Previous Post Pass the Chimichurri, PLEASE!! 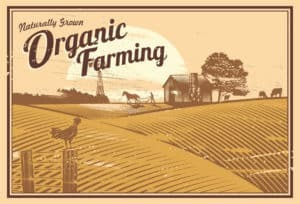 Next Post Can We Save the Farmer? My Call to Action.